Join the world’s most participated women’s golf event. Women’s Golf Day is a one day event celebrating girls and women playing golf and learning skills that last a lifetime! 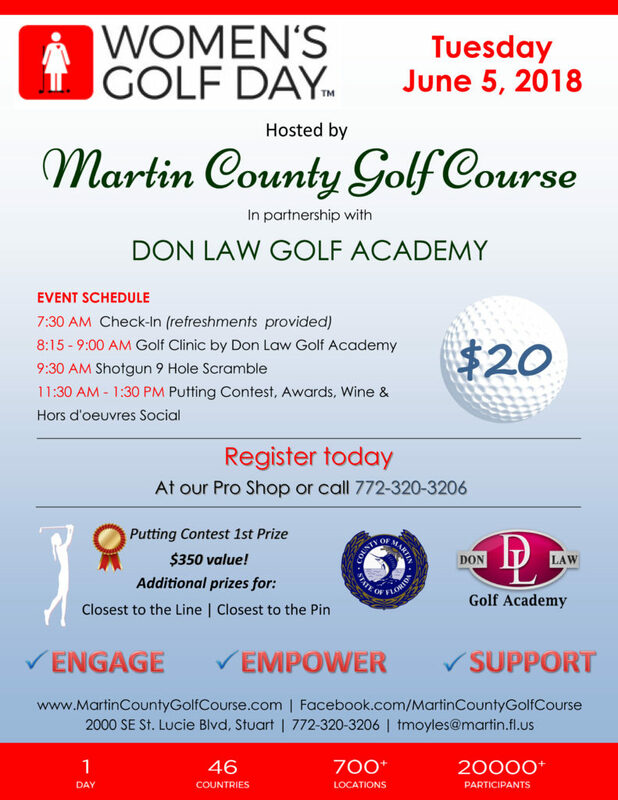 Martin County Golf Course has joined Women’s Golf Day, a global event where females of all ages and skill levels can experience and engage in the game of golf. This one day event is a support network for women around the world wanting to learn golf and get more involved.